Home » Metal Master Blog » Metal Roofing Panels or other conventional roofing panels? Metal Roofing Panels or other conventional roofing panels? Using metal panels as roofing panels can be a wise option to make, while you are building a home or a large building as it has many advantages over other materials. In fact, it is often said that the use of metal roofing panels in the form of galvanized steel was a great aid to opening up America in its early days. And the same thing is happening all around the world today mostly in certain parts of the developing world. Given below is a list of the advantages of using metal roofing panels over other roofing materials. Metal and steel roof panels are lightweight and hence easily portable. They are also durable as most metal and steel panel roofing products come with warranties from 25 to 50 years. Materials like stainless steel, copper, zinc and aluminium are inherently durable, as the oxidization of the base material forms a protective patina. Metal and steel roof panels are fire and spark resistant, hail resistant and wind resistant. Houses using painted metal roof panels are usually snow shedding. Metal is readily recyclable. Copper and Aluminium roofing panel products are available with over 95% recycled content. Most metals can be recycled over and over without losing any valuable characteristics. Recycling is very efficient. Using metal panels can be energy efficient when they are coated with high reflective materials and can commonly save 20-30% on air-conditioning costs, due to reflecting away much of the sun’s heat. This increases the thermal efficiency of buildings in high temperature areas with its cool roof paints and high emissivity. Most metal panel roofing products require little or no maintenance. Because of their high strength to weight ratio, metal roofs are often used to cover large buildings. Metal panels have design flexibility. Steel roof panels come in different colors and will always fit to any specifications that you need for your home or building. Using metal and steel roofing panels can be very labor efficient as they are not difficult to install. They can simply be used for many purposes and can be easily installed even without the help of a professional. Insulated roofing panels are designed to provide higher thermal performance, structural integrity and damage resistance. It is important that each building has good thermal insulation that suits the usage of the building, since heating or cooling is one of the largest operating expenses in a building. These insulated roofing panels also greatly reduce on-site fitting costs compared to conventional materials and provide safe working platforms. The cost efficiency and ease of installation makes insulated roofing panels a viable proposition for users, who require greater insulation values in terms of energy efficient roofs. New Year, New Roof! 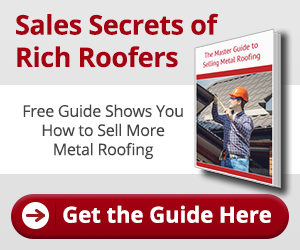 How about Metal Roofing? Thinking Business Expansion? Now’s the time!